The original HR-V built from 1999 to 2006 was one of the unique vehicles at the time. Not only was it a super low emissions vehicle but also featured a lot of interesting styling features that the competitors failed to have. Unlike the bigger Honda CR-V which was based on the Civic platform, the HR-V used the one from the Honda Logo making it a truly small vehicle with big character. It was short and narrow, but pretty tall. When it died off many people were truly disappointed by the lack a small funky car from Honda. Well, in mid-2015 the 2016 model launched in the U.S. and it debuted as an all-new car underneath. Absolutely nothing got carried over from the last car which is great since this one is some 10 years younger. It’s really interesting how Honda started off the crossover trend with the original HR-V without even knowing. It was then dismissed after being in production for 7 years as it began showing signs of aging. Well, Honda obviously thought it wasn’t worth re-designing it back then considering there really wasn’t any small SUV market. 10 years later and here we are. The success of the CR-V made them re-think their decision to launch a small entry-level SUV and we’re left with this, the brand new HR-V. 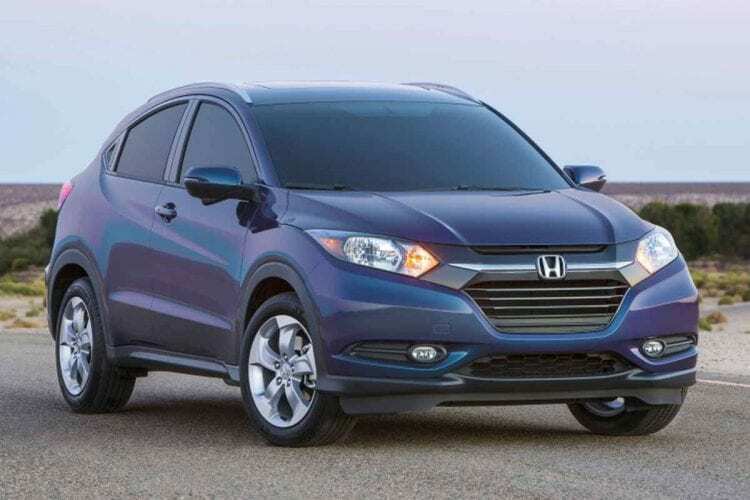 Since it’s a new car, let’s start with the engine and underpinnings of the 2016 Honda HR-V. 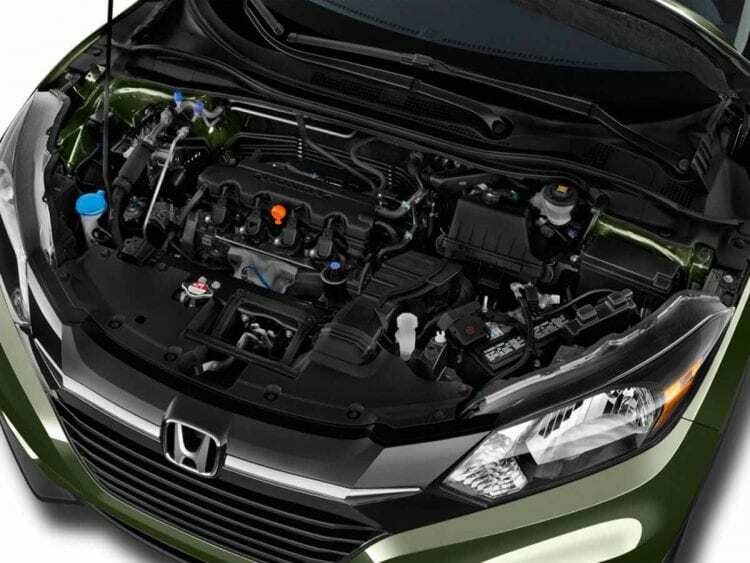 Under the hood, you will find a 1.8-liter four cylinder developing 141 hp and 127 lb-ft of torque. On the lowest two trims, the LX, and the EX equipped with front-wheel drive, that same engine is mated to a six-speed manual transmission which is a joy. There’s also a CVT option but we’re still fans of the manual. If you want an all-wheel drive you’ll have to go for the CVT as it’s the only option. We should mention all three trims are available as an all-wheel drive model but the EX-L is the only one that comes standard with a CVT. If there’s one complaint to be made about the HR-V it’s that it’s ridiculously slow. The best performing model, the AWD EX-L only managed a 0 to 60 miles per hour time of 9.7 seconds which is nowhere near average for the class and one of the moves in the future for HR-V could be the introduction of more powerful powertrain that could solve this and make it an even better competitor. Still, it does manage to redeem itself in the fuel economy test. It was capable of achieving 28 miles per gallon on the combined run with the manual transmission and the CVT returned an even better 31 mpg. The all-wheel drive CVT HR-V was a bit worse sitting at 29 mpg, still one more than the manual version although we must say we prefer that one driving wise over the CVT but with more possibilities and better fuel economy that CVT-equipped version offer we think that more drivers will opt for this one. Yes, the 2016 Honda HR-V is pretty slow and won’t break any records but chances are anyone who buys it won’t care. The fuel economy is excellent and it’s even fun to throw around corners. Driving dynamics are great and it’s got good road manners. It keeps its composure nicely and manages to soak up all the bumps while keeping the body roll to a minimum. Visibility is a big plus too as is the relatively small size of the car, making it great for parking. If you don’t mind the droning caused by the CVT or the sluggishness of the engine under heavy acceleration, it’s not bad at all. The exterior is okay but nowhere near the design of the original HR-V which was years ahead of its time. 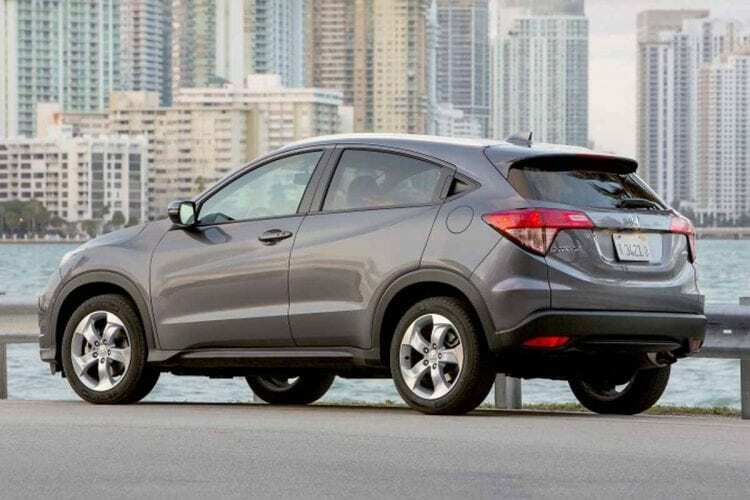 The 2016 Honda HR-V just sort of follows Honda’s current design vision and steals a lot of elements from the Civic and other models from the range. It’s not a bad looking car but it’s not the best one either. Although we do like the upward sweeping curve that goes from the front wheel arches to the top of the rear door as well as the classic crossover SUV roofline. Quite good, but some additional uniqueness wouldn’t hurt. Now the interior is a different story. Honda never ceases to amaze with great cabins even in their most basic of models and trims, and it’s the same with the HR-V. Even the base LX has lots of gadgets and features great materials. There are no gimmicky objects anywhere in the cabin and the feeling of cheap plastics is one that is absent. Because it’s Honda, ergonomics are top-notch too, and all the dials and buttons are large and understandable, easy to reach and placed in a manner that you would expect. The two trims above the LX, the EX, and EX-L Navi have the entertainment portion completely covered. Honda’s excellent HondaLink smartphone integration system for iOS is present and so is a decent navigation system. 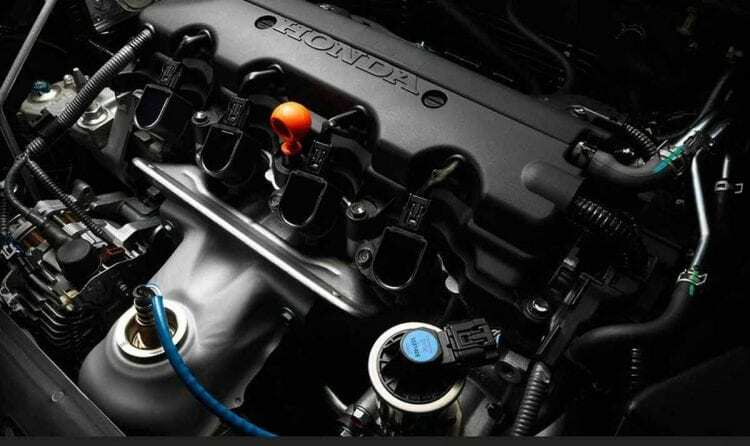 The only real issue is the menu on the HondaLink system which can be a bit confusing and the lack of Android compatibility with the system although Honda says that that’s going to change very soon. Don’t expect to comfortably seat five adults in the HR-V although four would have no problem having a great ride. The cabin feels much bigger than it actually is thanks in part to the great visibility but also due to the way the entire car slims up top giving the cabin a greenhouse effect. The Juke and the GLA may have the HR-V covered in terms of driving dynamics, but when it comes to interior space the HR-V trumps them both hands down. Cargo space is decent with 24.3 cubic feet available. 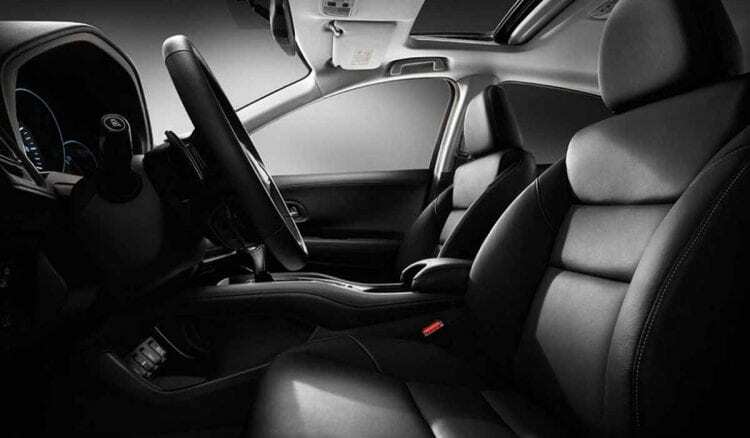 If you fold the seats flat you get 58.8 cubic feet which is amongst the best in class. All-wheel drive models lose about 1 cubic feet in both areas respectively but that’s okay given the added bonus you get. Did you read about 2017 Honda Odyssey rumors and see spy photos? Prices for this compact SUV star at just above $19,000 for LX model while EX and EX-L trims are priced at $21,265 and $24,690 respectively. It’s pretty affordable beating most direct competitors with price and equipment you are getting. 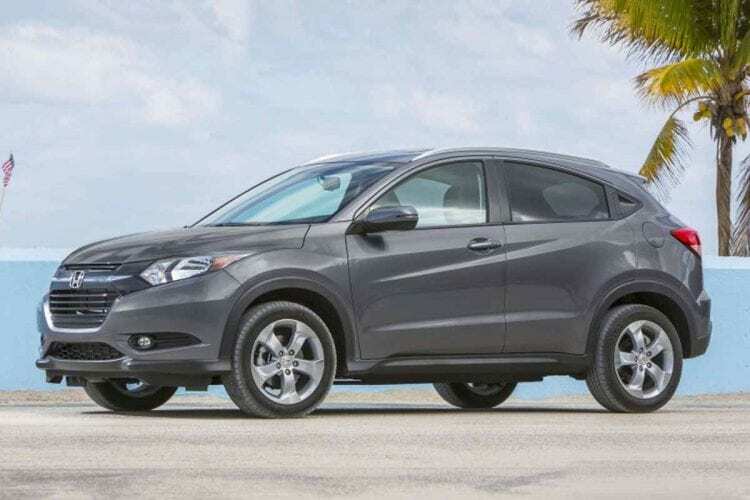 We’re really impressed with the new 2016 Honda HR-V. It may not be the fastest in its segment, in fact, it’s one of the slowest, but it is comfortable, practical, and economical and proves to be the perfect car to spend a lot of time in. even though it’s not the fastest on the market it is a comfortable, practical, and economical vehicle.